AEROSPACE PARKWAY SEWER EXTENSION - KE&G Construction, Inc. Many people have probably heard that Pima County invested about $20,000,000.00 to build a facility for World View, a company which launches “Space Bubbles” over 19 miles high into Earth’s stratosphere. 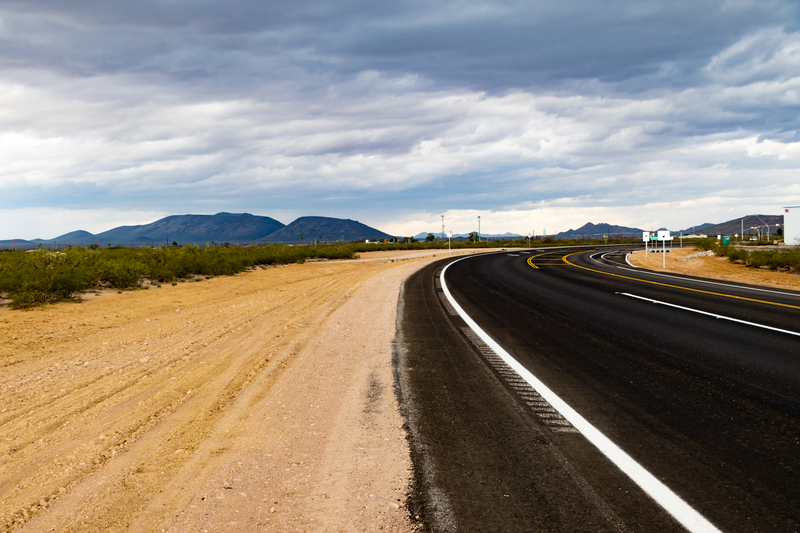 As part of the job, new sewer, water, and dry utilities needed to be installed a little over three-quarters of a mile along the Aerospace Parkway which is located between Hughes Access Road and Alvernon Way about five miles south of our Tucson office. KE&G was the successful low bidder for the sewer installation and dry utilities section of the work. In total, we installed utilities for Pima County Wastewater, Cox Communications, Tucson Electric Power, and Pima County Fiber Optics. On May 11, the site was cleared and on May 16, underground crews got started with the new 8” sanitary sewer. Once the new sewer was installed, we immediately followed with the new dry utility joint trench installation. A hard deadline was set by Pima County in order to provide World View with power and water needed to complete the building and remaining site work. This project received the APWA SAB 2016 award of merit under the Public Works Project of the Year Environmental Less than $5 Million category.